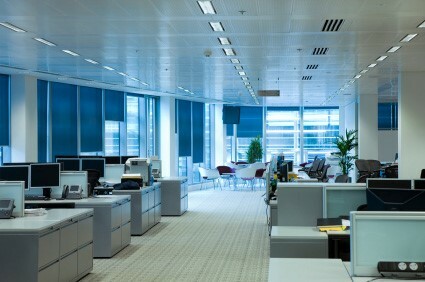 When trying to buy commercial blinds for your office there are two main options to choose from. They are: off the shelf commercial blinds and made to measure commercial blinds. With off the shelf options, you buy generic blinds that are mass produced for the commercial market. Made to measure blinds on the other hand are made to meet the specific needs of your office environment. What are the benefits of made-to-measure commercial blinds? For a business that is conscious about its image the possibility to choose the fabrics used in creating window blinds can be a real plus. You can match your corporate style perfectly without having to shop far and wide and spend a lot of time sourcing the right blinds. At the start of the process of ordering your made-to-measure blinds your windows will be measured. This ensures that the final product will fit your windows; there won’t be gaps where you got blinds don’t reach the sides, or rumpled areas where your blinds are too big. Made-to-measure blinds ensure privacy and that unwanted streams of sunlight are kept out. Made to measure blinds are normally made to a much higher standard than their off the shelf counterparts. With this excellent quality comes increased durability, often making them more economical in the long run. As a general rule you will have to replace off-the-shelf blinds more regularly than you will made-to-measure blinds. With made to measure blinds you will be able to personalise your blinds to suit your preferences. For instance you could choose to have lace or beads on your blinds. You could have your corporate image included on them. You really aren’t limited in what you can create.